Sea of Thieves is finally released and oh boy. An open-world multiplayer pirating game, developed by Rare and published by Microsoft Studios. Setting sail across a massive ocean with your friends. Solving riddles to uncover hidden treasures, battling skeletons and enemy pirates. Sea of Thieves is beautiful and nicely polished. Early impression of this game is super positive. It's always fun jumping into something new and learning the ropes. Especially when you're playing with friends. You join up with one, two or three others players, you man a ship and sail the open seas to find treasure chests and get gold. The real fun comes in the sailing of the ship and working together with other players. Sea of Thieves is at its best because sailing the high seas with your friends is awesome. Navigation and actual ship movement need communication, positioning, lowering and raising sails. One person steering, one person playing lookout for other ships and rocks. Another person eyeing the map and compass. Once you got stuff figured it out and started out on your voyage it is then when you really got a good look at how gorgeous this game is. From the art style, ship design to beautifully made looking sunsets and cool sea waves. The game also looks damn good on whatever you're playing. Is it a PC or an Xbox. After a bit of stumbling around and wandering about the ocean, you will surely participate in the game's questing system. Which is a series of treasure maps or bounty quests given to you by the trading companies. Order of Souls will point you to killing a skeleton captain and bringing in his skull for a reward. Same is with the Gold Hoarders and Merchant Alliance. You are given a riddle, map or a list of supplies needed. After quick voyage and digging the X mark the spot, your job is bringing the chest back for a reward. Same goes for the list of supplies, but with an included time limit. Where the game really opens up is when you will come across other pirates/players in the process and that is the real fun. That's also the game's biggest problem. The basic loop of the game is pretty simple and not challenging. Solving riddles isn't hard, finding islands isn't hard. Combat isn't hard, everything is pretty much self-explanatory. After about two hours of playing, you will realize that you are doing the same thing. There really isn't that much to it. Sea of Thieves makes this intentionally so that the best part of the game is fighting other players. But there are times where you will go over an hour without discovering anybody. In which case at one point, you will see yourself going from island to island. Picking up treasure chests turning it in for gold, buying more quests so you can do it over and over again. 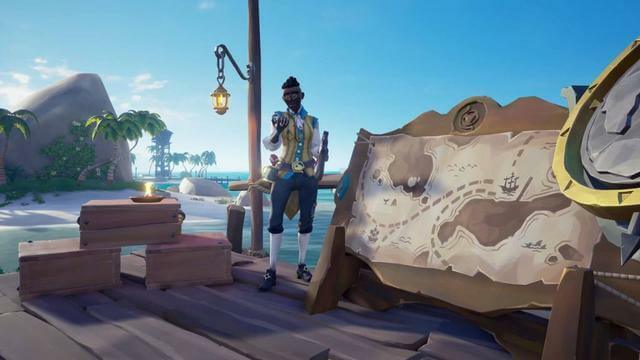 As Mike Chapman (design director of Sea of Thieves) said, this game will be for everyone. "We will make a game with no barriers, for PVE and PVP players." Well Mike old chap, with my time in the insider program and one of the pioneers, I can say that is a lie. 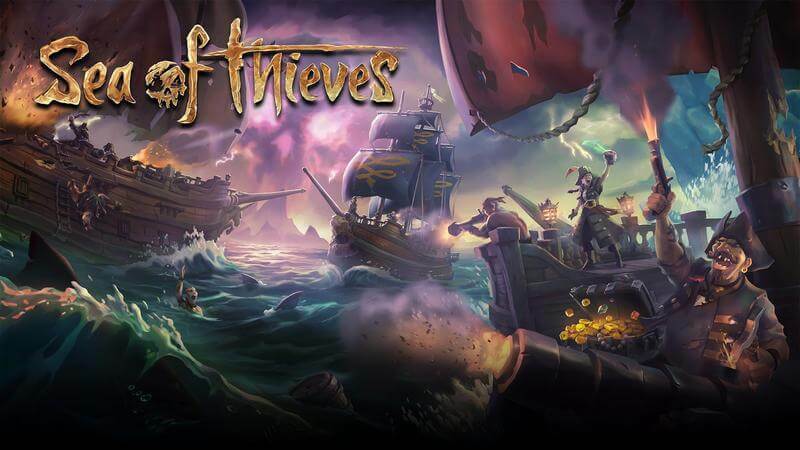 Sea of Thieves is only a PVP experience which will turn down many players. What Sea of Thieves needs, is a LOT of content. There is so so much potential, especially like the memorable moments you'll have. If you're lucky enough to be able to play with friends. There's no long-term progression. The majority of actual progression in the game is pretty basic. Any sense of achievement or progression is based on cosmetic items. It's kind of a game where you have to make your own fun. So completing quests with certain trading companies and cashing in chests, skulls or supplies improves your ranking with that faction. Then you can get stuff from them or you can spend the gold just go to a shop and buy different clothing. Hats or skins for your tools, like a golden shovel or a better-looking periscope. Same is for some of the upgrades of your ship. Skins or different color of sails need a lot of money to buy. There's a lot of grinding to get some of this stuff. The voyages you undertake lead you to make more and more money in a long run. But it still feels very very grind intensive and repetitive. You already can see an end in sight with the content. You will often see yourself getting bored of it. This game needs some sort of a change. Sea of Thieves is gorgeous, its polished and sailing around and hanging out with your friends is a lot of fun. But there needs to be a little more depth, Rare needs to do something. Rare need to increase the amount of content.  I'm looking forward to seeing where it goes in the future because I want to see this game enjoyable for everyone. In the end, Sea of Thieves has the foundations of being a great game. But as of right now there may not be enough for some players. Keep in mind this is an online game and the game will be continuously updated with new features and stuff. 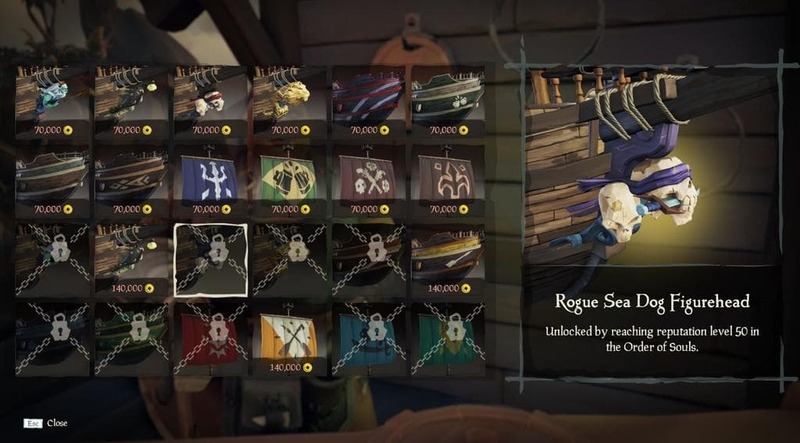 Sea of Thieves, for now, has no story, no competitive multiplayer, no character progression (only cosmetics). And only very little in the way of compelling gameplay. There's only one type of enemy you can fight is it on land or sea. It's fun to sail the ships. But there are only two, and you can't upgrade them in a meaningful way. Character creation is lame. Drinking grog and firing yourself out of a canon and sailing across the sea is fun. But it's not worth with the price of 60$. Also with the announced microtransactions in one month, I can almost see the downfall of a great game.